Copyright is a form of legal protection for authors of original works, including literary, dramatic, musical, artistic, and other intellectual products. Copyright was established in the Constitution: “To promote the Progress of Science and useful Arts, by securing for limited Times to Authors and Inventors the exclusive Right to their respective Writings and Discoveries” (Article 1, Section 8). While the details of copyright law have changed in the ensuing centuries, the essential impetus to promote future creative works remains a defining feature of the law. Under U.S. law, “copyright” is a bundle of exclusive rights, conferred by federal statute (the 1976 Copyright Act, found in Title 17 of the United States Code) automatically, upon the author of a work, at the instant of its creation. Original works created after January 1, 1978, are protected by copyright from the moment they are fixed in a tangible medium of expression. The author of a creative work holds copyright to that work unless he or she has transferred that right to another (for example, a journal publisher). For more information on your rights as an author, see the section on Author’s Rights. Publication is not essential for copyright protection, nor is marking the copyrighted item with the well-known symbol ©. Copyright registration is not a requirement for protection by the law, but it does establish a public record of the copyright claim and, for works of U. S. origin, it is required before an infringement suit may be filed in court. What are the copyright holder’s rights? If a person or entity does not own the copyright in a work, does not have permission to do #1-6, and does it anyway, then the individual or entity may be deemed to have infringed on the owner’s copyright. When is permission to use copyrighted materials not needed in an educational setting? Under Section 110 of the Copyright law, performance or display of a work in the course of face-to-face teaching activities of a non-profit educational institution is permitted, if the work being displayed was lawfully obtained. For example, it is permitted to show a copyrighted movie in the classroom, as long as a legal copy of the movie is used. 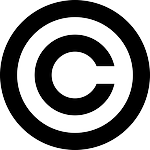 Use of a copyrighted work is permitted if considered “fair use” under Section 107 of the Copyright Law. Fair Use limitations are covered more extensively here. Mere listings of ingredients or contents. Ideas, procedures, methods, systems, processes, concepts, principles, discoveries, or devices, as distinguished from a description, explanation, or illustration (the creator of such items may be able to obtain a patent). Works consisting entirely of information that is common property and containing no original authorship (example: standard calendars, height and weight charts, tape measures and rulers, and lists or tables). Works in the public domain. This includes works produced by U.S. government employees in the course of their jobs. Additionally, all works produced in the United States before 1923 are in the public domain. For more on the Public Domain, see Stanford University’s Copyright and Fair Use website. When does copyright on a work expire? Works created on or after January 1, 1978 are protected for a term of the life of the author plus 70 years. See Cornell’s “Copyright Term and the Public Domain in the United States” for an easy-to-read chart on when copyright expires on different types of works. More information about public domain can be found here.